Here is the end-game for Afghanistan: make it boring. 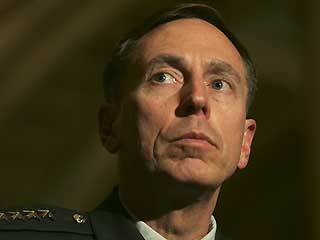 General David Petraeus wants to take the "War" out of Afghanistan. It's what he did to Iraq. We're "out" of Iraq, and yet have 50,000 troops still there. Iraq is more like an international police matter. Fighting crime is not as interesting as fighting war. More Americans die in gangland violence per month than they do in Afghanistan, but nobody cares. It's simply boring. He's trying to make the war in Afghanistan boring enough for us to forget about it. So that ultimately we can have a group of armed forces semi-permanently stationed there, just like we have all over the world. In other words, Afghanistan, like Iraq, will become another node in our international network of peacekeeping monitors, making sure regions are stable and pro-American enough. "I didn't come out here to, to carry out a graceful exit or something like that." "We're here so that Afghanistan does not once again become a sanctuary for transnational extremists the way it was when al-Qaeda planned the 9/11 attacks in the Kandahar area, conducted the initial training for the attackers in training camps in Afghanistan before they moved on to Germany and then to U.S. flight schools." Petraeus mentions "reintegration" but then he swaps the word out with "reconciliation." Strategy is to take the relatively peaceful and stable area of Kabul, and spread that region of peace and stability to the rest of the country. We haven't had to worry about Iraq over the last 18 months, and so we've reassessed all our "inputs." We're doing reintegration now, whereby instead of killing the whole enemy, we're reintegrating some of them. We're seeking a surge in Afghan national security forces (100,000 more). Re-framing July 2011 withdrawl deadline: That deadline is more like a delivery date. The armed forces have to show a certain amount of progress by that date. Withdrawl is the what we want to do then, but of course, we will re-assess the situation based on conditions.